When cleaning the toilet, consider your plumbing system. If you have a septic system, you need to stay away from chemical-based cleaning products found in your supermarket, as these chemicals damage your septic tank and may lead to an expensive repair or replacement. Instead, use safe and mild toilet cleaners that deodorize, clean and kill bacteria. 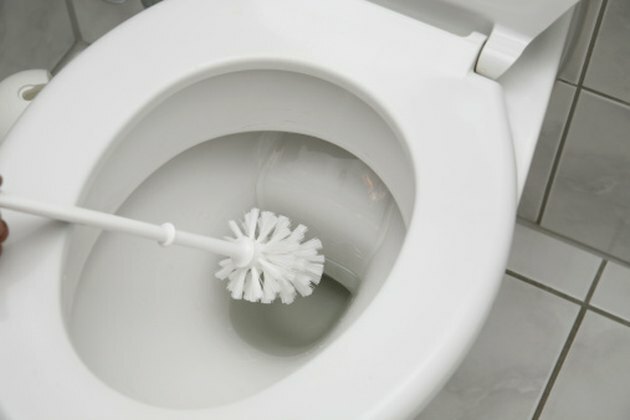 Clean your toilet with mild ingredients to keep your septic tank safe. Baking soda is a natural cleaning and deodorizing agent that is safe for your septic systems. Use every few days or as needed by sprinkling about 1 cup of baking soda into the toilet bowl and scrubbing with your toilet brush. Flush the toilet after cleaning. 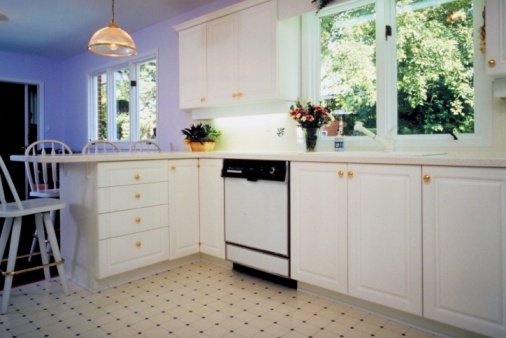 White vinegar is another safe cleaning element that breaks up hard water stains and kills bacteria. When these are present, pour 2 cups of white vinegar into the toilet bowl, scrub with your toilet brush and flush the toilet. For heavier hard water buildup and limescale deposits, pour 2 cups of the vinegar into the bowl and let it sit overnight. Scrub with the toilet brush and flush the toilet the next morning. Lemon juice is another natural cleaning solution that has acidic qualities, working well as a natural disinfectant that leaves behind a citrus-fresh scent. Use just as you would use the vinegar, pouring 2 cups into the toilet and scrubbing with your toilet bowl brush. Flush your toilet after cleaning.